Encounter of the third kind. Whilst moving around in the Mara and as long as we don’t have rain, I like to stand up in the van and keep look out as we are moving along. The van has a roof which we can raise in order to stand up and get good viewing. Whilst making our way to Keekorok and cutting across the Mara along one of the many small tracks I had my very own close encounter of the third kind. Now I was faced with another challenge, it was sitting on my seat and I needed to pick it up and remove it from the van. 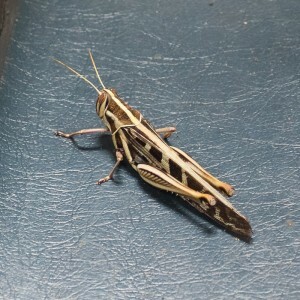 This was the biggest Grass hopper I had ever seen. 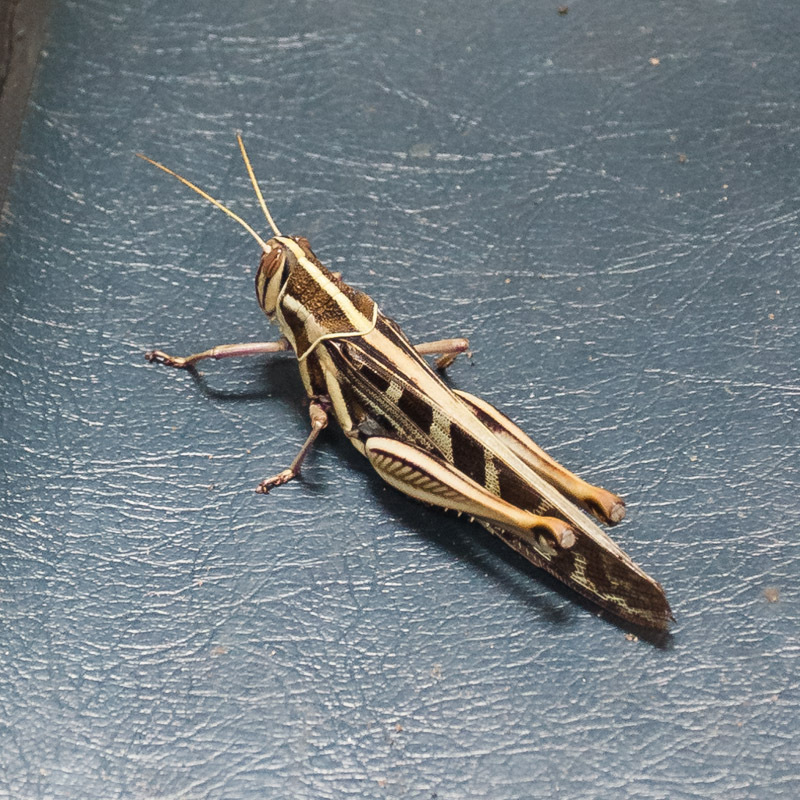 After much deliberation on my part, we managed to safely remove the Grass Hopper and he could fly on. We too could move on and with no more encounters we arrived in time for Lunch at Keekorok. Our journey into Keekorok was sparse with animal sightings, my heart sunk as I immediately thought we are going to have to work for our game viewing here. The last time we were at Keekorok was Migration time, and the surrounding landscape was heaving with animals. This time it looked to be a different story!